An attractive box that doubles as a carrying case, holds everything together nice and neatly. The first thing I noticed is the drone view camera that i previously reviewed as a standalone item. An attractive box that doubles as a carrying case, holds everything together nice and neatly. The first thing I noticed is the drone view camera that i previously reviewed as a standalone item. The vistas camera is the same except, it does not have the battery pack. Including the camera is a 4 GigaByte Micro-SD card, also included is a single-cell 850 mAh power battery pack.The multifunction transmitter feels a lot like a video game controller. It seems to be a happy medium for both adult and children’s hand sizes. The transmitters adjustable phone holder,should fit most the common smartphones. The camera’s gimbal feel pretty good and the action buttons are easy to reach. Extra propellers, a small screwdriver, transmitter batteries and USB charger completely ready to go package.The 11-page manual is straightforward and includes an enclosed parts diagram, which is a nice touch and, there’s some sort of warning about how i will eat your face or something that. Underneath the camera mount is a passive rubber dampened isolated platform. There also a multitude of colored lights for orientation and mode signaling. More rubber dampers make up the feet. The removable camera simply plugs into the cradle is plugged into a control cable.The USB charger is super simple use. Plug in the battery, plug in the charger and simply wait for the flashy like to indicate charging completed. And with that, we go fly. This thing didn’t need any setup, i just turned on and flew. 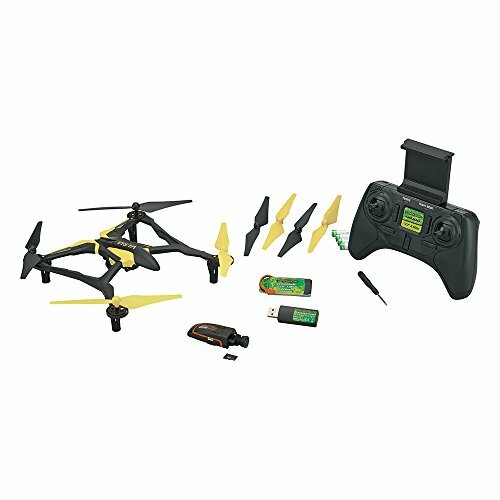 Flight is pretty easy, start controls are mild and stable, it will quite fly hands off with a little practice anyone can handle it. It’s very light, so I did okay in the winds. Anything over about 10 miles per hour wind speed will make it kind of tricky to fly, that said the high rates modes is quick nibble they had no problems with visual orientation. Instability is pretty good, considering the light weight of the Dromida and lack of active camera stabilization. The Dromida does a pretty good job of looking at camera around. If you remove the camera however it is noticeably more sprightly and you can expect slightly longer run time. The Dromida also has built-in flipping capabilities which I just had to try. Flip is super easy, just press the flip button, then move the right stick in the direction you want to tumble. So my cameraman Jeff couldn’t just let me have all the fun and want to try out a trigger too. It survived just flying, though after just threw it into the ground a few more times and we did have to re calibrate it. After just rough handling, I thought I try some air-to-air photography. The Wi-Fi connection to phone has limitations, which I talk about in my other video. 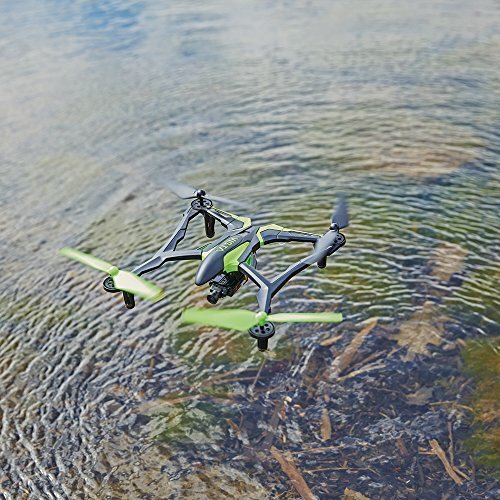 So don’t expect the true FPV drone but it is useful for helping to aim the camera offline. It’s a neat grab-and-go mini quad for basic photography or simply flying around. With inexpensive camera drone, I found Dromida Vista FPV pretty capable. 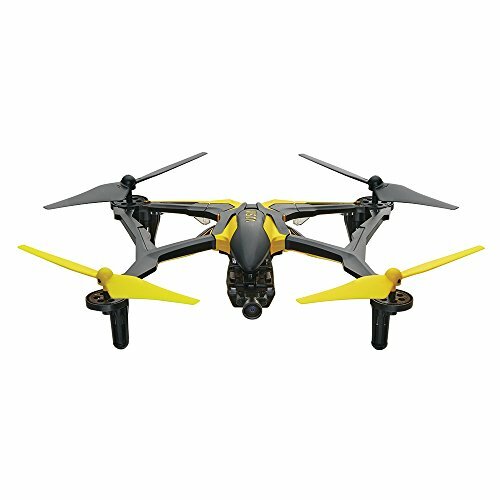 The design is sturdy yet, pretty easy to fly. It is an inexpensive way to get basic video stills and photos, or you can simply leave the camera off and just have some fun with it. I think it is well suited for younger Flyers, as I can take a pretty good beating and doesn’t require any FAA registration. For cheap fun, the drama vista looks like a great choice. 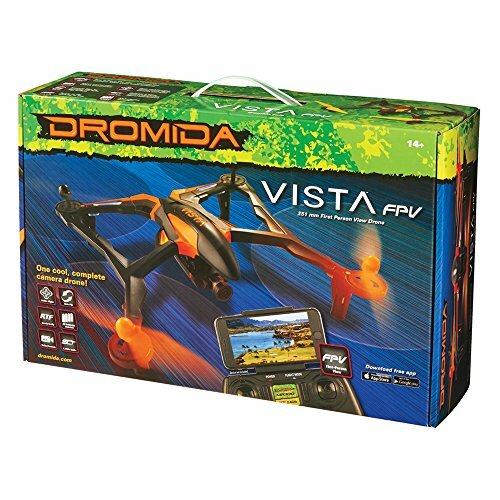 HV Reviews the new Dromida Vista FPV multi-rotor UAS. 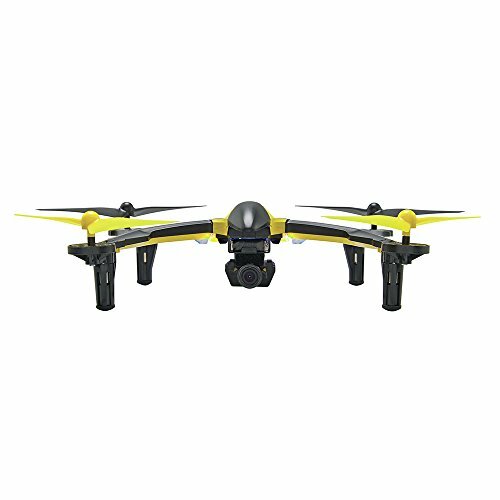 An inexpensive way to take fun aerial videos and photos. Take a look to see what we thought of it.